Every Italian knows that Italy’s most beautiful beaches are found in Puglia. But do you? 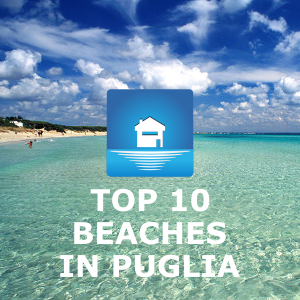 Do you know which are the most beautiful beaches in Puglia and in all the south of Italy? In this post I have already listed the prettiest beaches in Gallipoli, the capital of the Italian summer beach scene. 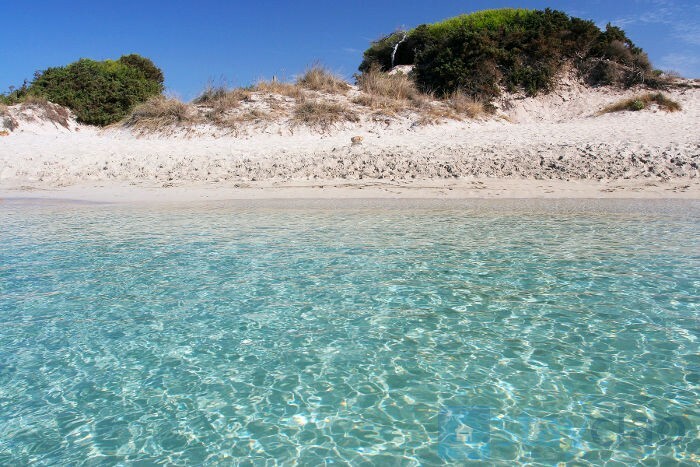 Here I’m going to tell you about three beaches that you simply can’t miss if you’re on holiday in Puglia: the beach at Porto Cesareo, the one at Baia di Torre Lapillo and the one at Punta Prosciutto. They are all located in the Porto Cesareo area, so go there you’ll be able to take in all three in a short time. Let’s get started! 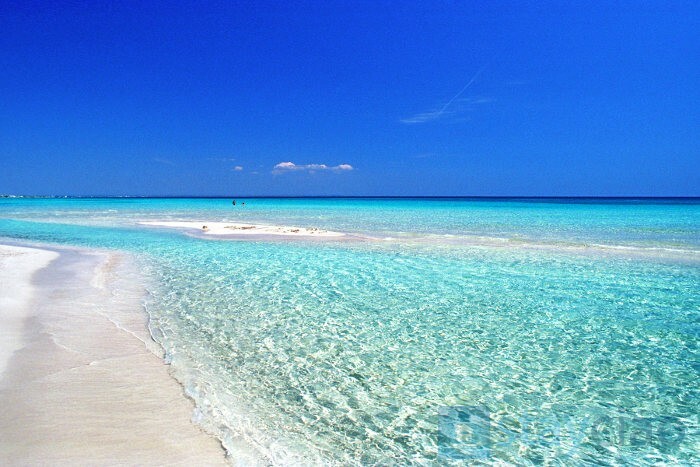 The beach at Porto Cesareo is just north of Porto Cesareo and is about a kilometre long. In a little cove and flanked by dunes and typical mediterranean wild scrub, both the water and the beach are simply heavenly. There are other little beaches all around, too, which make the area great for taking a walk along the sea as well as for sunbathing! Then, to make the location absolutely perfect there’s the little scattering of neighbouring islands, too. For walkers, these beaches can easily be reached on foot from Porto Cesareo, otherwise it takes just a few minutes by car. There are swimming facilities in the area and several restaurants that look out over the sea. There’s plenty of holiday accommodation if you fancy spending the night before taking to the beach – including hotels and holiday homes. To help you get your bearings, the beach is located a little before you reach the impressive ancient sea defence fort, Torre Chianca. This stretch of fine white sand extends for around four kilometres – there are no rocks in the sea and shallows extend well out from the shore. Some people call it the Salento Caribbean. 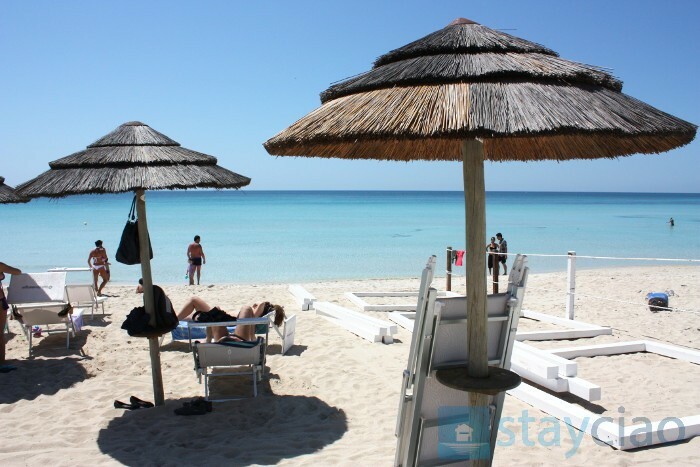 The beach is located north of Porto Cesareo and is hemmed in by two sea defence towers: Torre Chianca and Torre Lapillo. Half of the bay is taken up by the little town that is named after the tower, Torre Lapillo, and the other half is dunes and vegetation. However, in the northern part you’ll actually find houses on the beach (I, too, have one here …) while in the more southern part you’ll find the most stylish swimming and beach facilities in the whole area. In certain spots, Torre Lapillo has the most breathtaking translucent water and glorious sand – an absolute must-see! The last of the three beaches is the one at Punta Prosciutto, not because it’s in any way less beautiful, but just because we’re moving from south to north. This is the wildest of the three, with really high sand dunes up to 8 metres high. It’s really fabulous. It, too, has crystal-clear water, kilometres of white sand and dunes. In comparison with the other two beaches, this one has fewer amenities, but it’s truly a taste of paradise. Walking along you’ll find several sections with umbrellas and facilities, and some little bars. The only built-up part is actually on Punta Prosciutto itself, a promontory that stretches out towards the sea. Yes, it’s really called ham (prosciutto is the italian word for ham). Don’t ask me why, though. Even the locals can’t say. We only know that in the local dialect you say Li Prisuddi or Li Prisutti, so maybe it only got translated into Italian as prosciutto because the words sounds similar. Before I go, I’ll just leave you with a few more thoughts and FAQs. 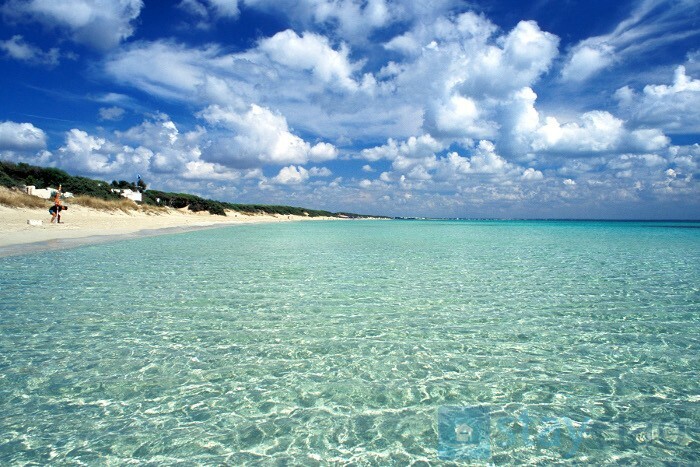 Are there beaches at Porto Cesareo town itself? No, they start a bit further north. At Porto Cesareo itself the beach is small and very crowded. In Porto Cesareo town you’ll find everthing you need in the way of bars, restaurants and the best ice cream parlours in the area and, of course, the seaside promenade. Where can I find crystal-clear water? Wherever you find sand. But I think the highest marks for the clearest water must go to Torre Lapillo beach. Where can I find the finest sand? Firstly, Torre Lapillo and Porto Cesareo and then Punta Proscuitto. Is it quiet in August? In August all the beaches of the Salento area are always very crowded. If you want peace and quiet and the whole beach to yourself, better to come in June and September. If anything, the beach that is a little less crowded is the one at Punta Prosciutto. Of course, the beaches seem even more crowded because they are narrow. This is a common feature of beaches throughout the region. Where can I stay? Aside from the numerous hotels in Porto Cesareo, there are lots of holiday homes and villas less than 500 metres from the beach – both in Torre Lapillo and Punta Prosciutto. Which is the best location for small children? The water in some stretched of Torre Lapillo Bay is very shallow for a good distance from the shore. Go there. But some places in Punta Prosciutto are great for kids, too. Should you need any more information about the area, do ask in the Comments section or send me a private email. I can tell you everything you need to know! hi – would love to visit Puglia next summer with my mother and 2 x teenage girls – where should we stay – the girls want a hotel with a fresh water pool, my mum wants to be on the best beach, I want to be central so can walk out in an evening to eat, shop etc. We can fly to bari and would rather not hire a car unless we have to – happy to rent a villa? let go via private email so that I can help you better with some hotels or villas for rent. A presto, Fabio. Ich bin italienerin, aus basel und suche ein ferienhaus oder ein appartemento per sempre per affittare annuale, ich war einmal in laghi alimini und habe die 3 straende gesehen, im internet die du beschrieben hast, ich bin total verliebt in die straende und das meer, kannst du mir helfen ein haus oder appartemento zu finden direkt am meer, ich kann auch jetzt in den naechsten zwei wochen hinu terfliegen und das mit dir anschauen und dann den ganzen sommer mieten, fuer eine antwort sage ich danke. renata catarina garattini aus ravenna, abita in basilea , svizzerra. Hi Renata, thank you for your request. If you can have a conversation in english, please do call me: I have sent to you my mobile number. A presto, Fabio. Hi Annabel, I would suggest two locations in Salento: Gallipoli or Porto Cesareo. Both have beautiful beaches with white sand and good restaurants. In addition, they are good points to start tours around to discovery Puglia! Let me know if you need more information. A presto, Fabio. @rosanna: actually, Punta Prosciutto is just a really small village on the beach with few services. If you want to have a nice walk in the evening, Punta Prosciutto is not for you, better to go to the near Torre Lapillo beach where you can find stunning beaches and all the services by walking distance: supermarkets, gelaterie, pizzerie, restaurants, … That’s my tip! @carmelina: well, there’s a nice piece of Lido Conchiglie, yes. I do not know hotels in that area, but I can ask to some of my contacts. Probabily, it’s better the southern part of Gallipoli called Baia Verde where you can find hotels on the beach. Go to Google Map to understand better the area and to find the hotels which are just on the beach. Please call me on ——————. We are coming for two weeks to Puglia. We are staying In Leece for i week and hope to visit the surrounding towns. We would like to stay in a beautiful beach side town in Salento for two or 3 nights before we leave for Matera. Can you suggest places to stay and easy transport to Matera after our stay. Hi Mary, did you read my email? Thank you. A presto, Fabio. I m coming on 15th until 19th of september in Puglia area. I will land in Bari and i should take a train or a bus to arrive in Puglia. I was thinking of Porto Cesareo or Otranto but i have no idea if there are reachable by train or bus from Bari where i land. i want to visit Puglia at the first time this summer. It will be my first trip to Italy I read your comments about these 3 places and i prefer to go to Torre Lapillo . Do you know some the best places to stay there at night? for 2 adults and one child , 10 years. I’m looking for apartments with kitchen. do you have some idea which will be the best for me ? Are you be able to help me ? Great site. Thanks to you we have decided to spend 10 days i Puglia area in July. We are family with 2 children 8 and 7 years old. Can you recommend some place to stay. We prefer quiet town/villages. We hate huge hotels with a lot of tourists. I am looking for some agritourist place with animals (my kids love horses!). The only must be is the swimming pool. We will rent a car so we want to travel around and explore. I checked on booking.com and agriturismo.it. Many places, but maybe you know some fantastic place to stay which is not on internet site. They are best! Thank in advance. @katarzyna: I manage several apartments and villa here in Torre Lapillo Bay, but first: let me know the exact period of your stay and I will be back to you with more information. @joanna: ok, let’s continue our conversation via email as there are several information I can give to you! Ciao Esme, no, there are no trains here on the coast in Porto Cesareo. You have to go to Lecce main station and from there take a local train service called Ferrovie del Sud Est. From Lecce you can go to the city of Gallipoli and Otranto where nice beaches are, but not to Porto Cesareo area. You can take the bus called Salento in Bus. Let me know if you have more questions, a presto, Fabio. PS: I DO love Paris! 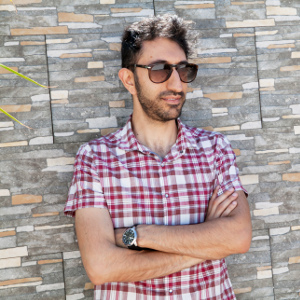 Hi Fabio, i will spend one night around Porto Cesareo but not sure were to stay as I would like a place with nightlife and restaurants. I will be by car with a friend and we will visit the beaches that you mentioned. Ciao Vanessa, if you want a bit of nightlife, go directly to the centro of Porto Cesareo. But, first: when will you be here? It depends on when you’ll be here. If August it full of things to do everywhere, differently in September. Let me know if you need more. A presto, Fabio.